All of our staff share a passion for great wines and are committed to providing our local wines of exceptional quality at competitive prices. Rebecca "Pepper" Wood and Ira Gourvitz purchased the winery in the mid 1990s and replanted the vineyards. Pepper oversees the winery's finances while Ira's passion lies in the production and sales of award-winning wines, dating back to his experience owning a Sonoma vineyard in the 80s. Once residing in Mission Hills, Pepper and Ira recently built a home on a hill above the vineyards and enjoy entertaining family and friends to gourmet dinners and Bocce tournaments in their backyard. 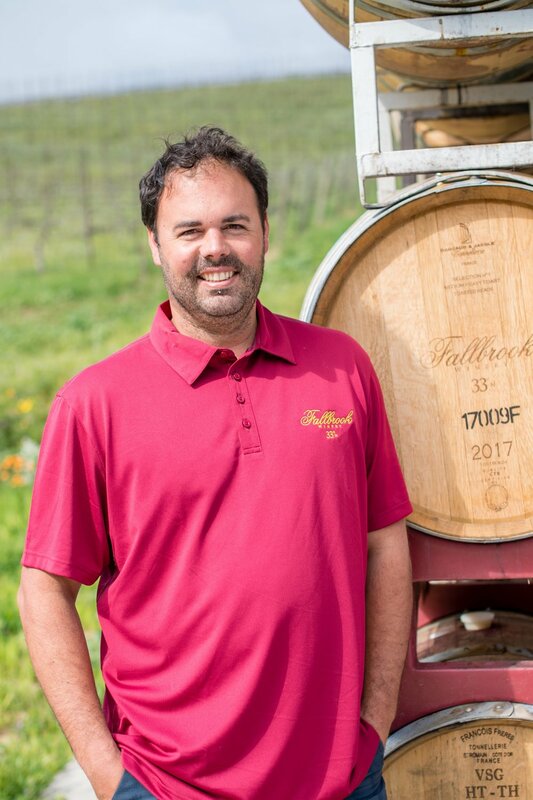 Paul started with Fallbrook Winery in November of 2010 after working for 15 years in the hospitality industry as a bartender and manager. He also worked for three years with Young's Market where he learned sales and marketing techniques as well as extensive product knowledge. Living in San Diego since he was six years old, Paul loves working for a local company. He especially enjoys it when people get excited about local products, and feels that Fallbrook Winery produces great wines that he's proud are made right here in San Diego county. When he's not working, Paul loves to read, play golf, watch movies, go to restaurants, and just about anything that involves his family. After spending 28 years as an executive in the technology industry, Carrie decided to follow her passion and join the world of wine. She began her new career in 2012 selling California and Old World wines throughout Southern California for Boisset Collection. Carrie is excited to represent Fallbrook Winery and offer award-winning wines that are grown and produced locally in the South Coast region. Carrie holds a WSET certification and brings extensive sales and marketing experience to the Fallbrook family. Euan Parker is the Head Winemaker at Fallbrook Winery where he oversees all aspects of making quality wine. Euan started in the wine industry 20 years ago in New Zealand working at his family’s vineyards. After graduating with honors and receiving a Biochemistry degree in New Zealand, he was awarded a full scholarship to attend the prestigious Ecole Supérieure d'Agricultures Angers wine program in France. He obtained a master’s degree in Vine, Wine and Terroir Management. Prior to joining Fallbrook Winery, he was a winemaker in New Zealand and winemaking consultant for several wineries across Spain. Euan was also responsible for multiple vintages in France and USA. Fallbrook Winery is pleased to bring his expertise to Southern California where he has already received recognition for his wines. After teaching in Japan she moved to California and started working at Fallbrook Winery as the 2017 harvest intern. Highly dedicated, she soon became the lab technician spending her time testing wine, keeping the inventory and work order history up to date, and assists the winemaker in production process. Amelia graduated from Calvin College with a Bachelor of Arts in Business. 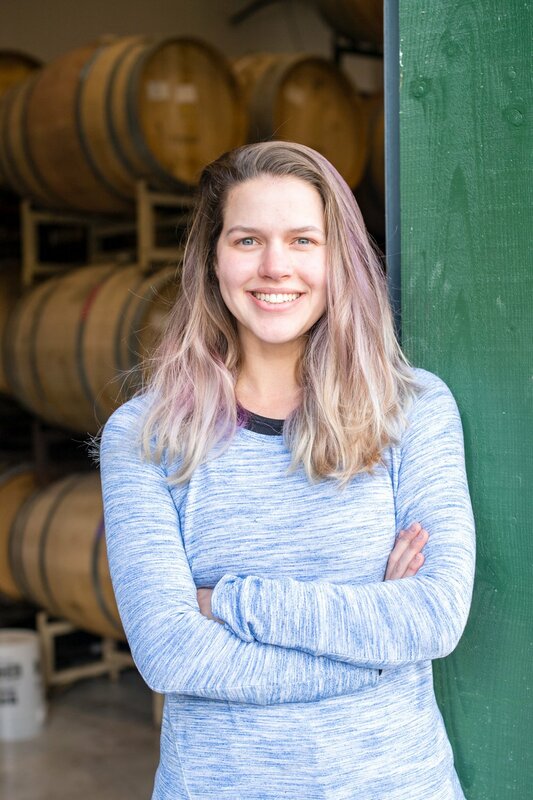 In addition to her work at the winery she is also taking the Winemaking Certificate Program through the UC Davis, so as to better understand the chemistry and mechanics of viticulture and winemaking. Jesus or “Chuy” was born and raised in Vista Chuy began his career with Fallbrook Winery on our Vineyard Development team in 2015. He quickly showed his passion and enthusiasm for wine and has since joined our winemaking team. Chuy is very passionate to learn more about the wine culture and is in happy to be pursuing a career in the wine industry. Luke was raised in Northern San Diego County near Valley Center. He grew up most interested helping care for his family’s two-acre fruit orchard. He began pruning grapevines and digging a wine cellar for his father at age six. Luke attended Escondido High School and worked four years at a local winery caring for their old car museum. He later graduated from Cal Poly San Luis Obispo with a Bachelor of Science in Fruit Science and Minor in Wine/ Viticulture in 2001. Luke has worked in Sustainable Agriculture for wineries and vineyards over 25 years. He has spent time in various West Coast regions including Monterey, Santa Barbara, San Luis Obispo, Napa Valley, the Willamette Valley, and of course… The South Coast! Luke enjoys working outside and managing our estate Vineyards. Prior to joining Fallbrook Winery, Abe was the Grower Relations Manager for Treasury Wine Estates overseeing wine grape purchasing in Napa for some of the most storied brands in the valley. Before that, he held positions at Silicon Valley Bank’s Wine Lending Division as well as E&J Gallo’s Viticulture Research Department. Abram is a graduate of Cal Poly San Luis Obispo. And while he is eager to field any grape-growing related questions, Abe is much less forthcoming with his secret baby-back rib recipe. Born and raised in San Diego, Paula has been supporting the winery’s owners for nearly 20 years. In 2017 she transitioned to the winery and is proud to represent a local winery that produces quality wines. Paula enjoys interacting with the customers through her tours and tastings as well as her contact with the wine club members. When she’s not at the winery, Paula dedicates her time to her family, which includes her husband and two grown children. She also enjoys traveling, cooking, reading, and taking her three unruly dogs to dog beach. Junior has began working with Fallbrook Winery in 2015 on the Vineyard Management team. He was later promoted to Operations where he is responsible for bottling, labeling and order fulfillment. Junior enjoys sharing his knowledge of both the vineyard and winery with our Tasting Room guests. His plans are to follow his passion and continue his career in wine sales and marketing. Cooper is an Australian Cattle Dog and Labrador. He is a parvo survivor and has important tasks. His jobs include: chasing bunnies and squirrels, eating avocados, greeting all guests, and most importantly, to take long naps in the cool cellar in the company of Fallbrook’s finest vintages.